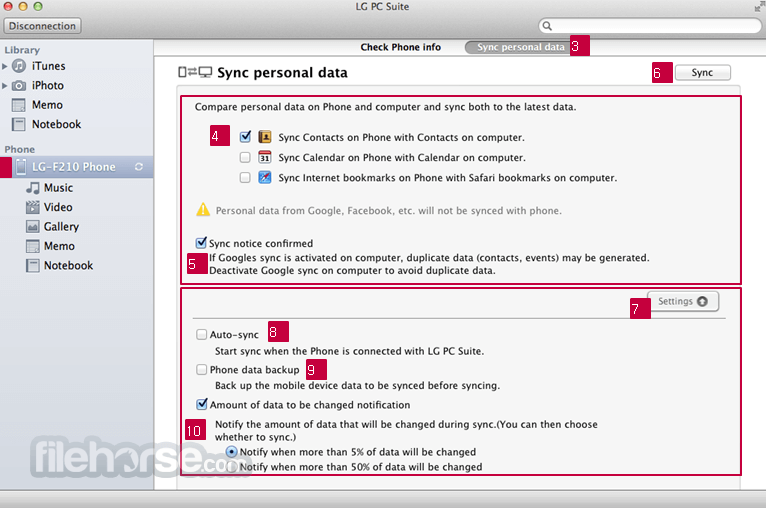 LG PC Suite for Mac (also known as LG PC Sync), the latest mobile synchronization solution for your LG phone. 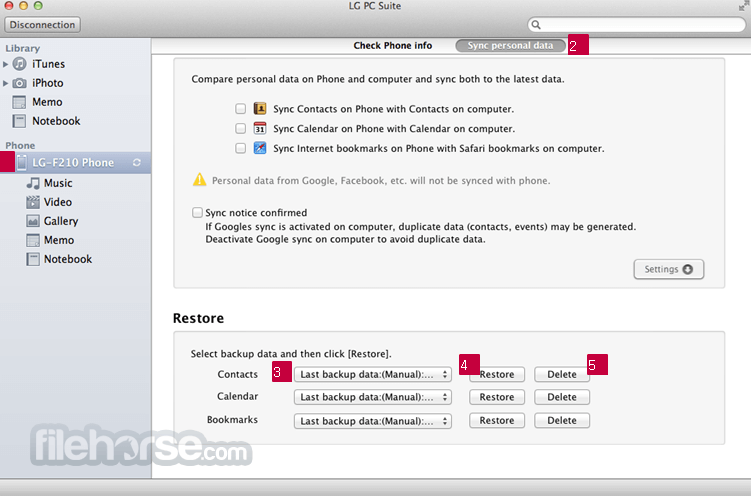 PC Suite allows you to sync your calendar and contacts between your computer and phone, as well as create, edit, and delete phone data while working on your Mac. 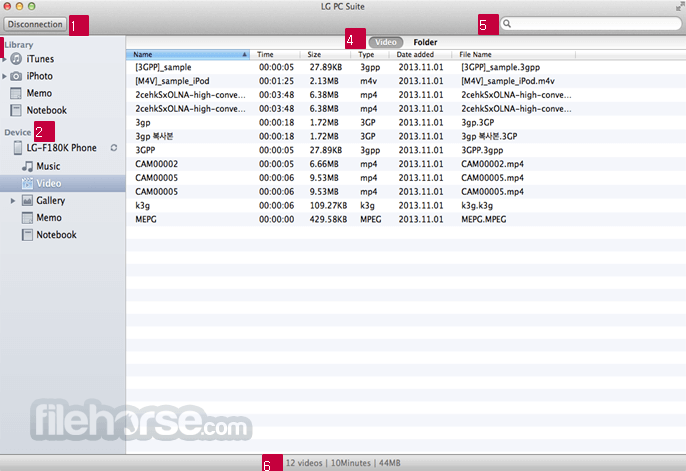 Use LG PC Suite to upgrade your mobile phone software and manage your favourite videos, music, and photos for your mobile device while at your computer. 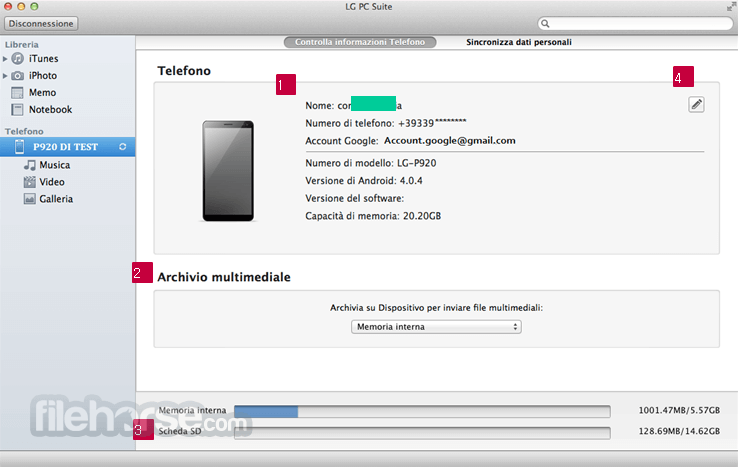 It’s easy to install – simply select your phone model and then which PC Suite software you want to download. 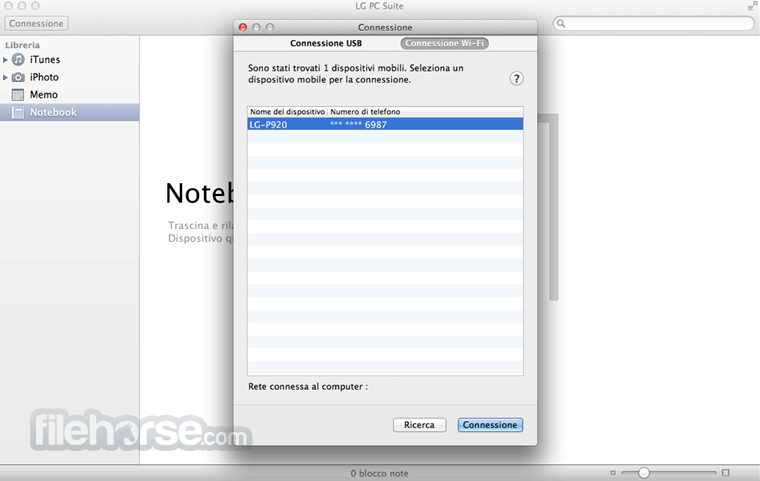 LG PC Suite for Mac is free to download, so get started today.